I said it before (when the teaser trailer dropped) and I can safely say it again after watching the official trailer for Netflix and Marvel Studios’ ‘Daredevil;’ it looks like we have the equivalent of ‘The Dark Knight’ in the Marvel Cinematic Universe on our hands. And a show with a truly cinematic scope and style. Don’t get me wrong, I have no delusions that ‘Daredevil’ will be as good as DC’s ‘The Dark Knight,’ but the trailer still reminds me of ‘Batman Begins’ none-the-less. And that is a fantastic thing! Unlike Marvel’s ‘Agents of S.H.I.E.L.D.’ and to a lesser extent, ‘Agent Carter,’ ‘Daredevil’ is the 1st MCU show that doesn’t feel nor look like TV. It plays like it has the effects and intensity of a more down and gritty Marvel movie, but with the bonus of 10 episodes instead of 2 hours (2 and 1/2 if you’re ‘Age of Ultron’). Unlike the globe-trotting/Earth saving, “Captain America and his colorful friends,”* Daredevil (played by Charlie Cox) sticks to the streets of his city, Batman style: Hell’s Kitchen in NYC. But it doesn’t mean his struggle is any less intense then his could-be-eventual-allies’ silver screen adventures. The UK rated ‘Daredevil’ a 15 (we here in the US don’t rate Netflix programming), the closest to ‘R’ that Marvel Studios has ventured. Mike Colter, who plays the title character of his own show, claims ‘Luke Cage’ will be equally dark and gritty. Why not get the whole NY gang back together? Maybe one day, he’ll join the Avengers. 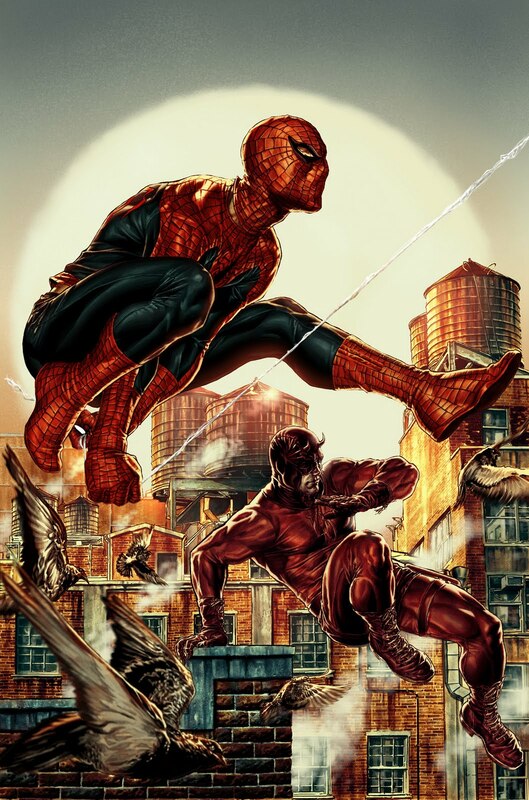 Or, even cooler, why not have ‘Daredevil’ and ‘Spider-Man’ cross paths now that the web-head is part of the MCU? They’re both dedicated to saving NYC and would make interesting allies. Whatever ends up happening with the Daredevil character down the line, it sure looks like Marvel Studios and Netflix are off to a great start! Marvel’s ‘Daredevil’ hits Netflix on April 10th!